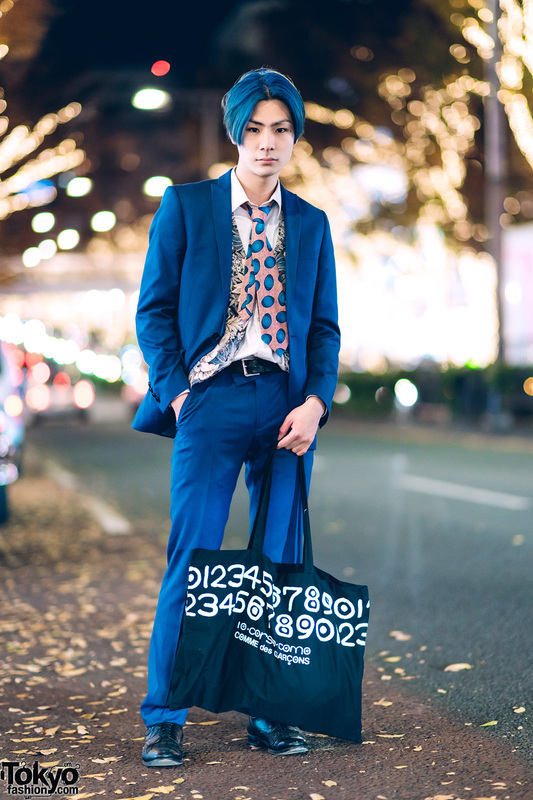 Japanese student with blue hair wearing a blue suit on the street in Harajuku. 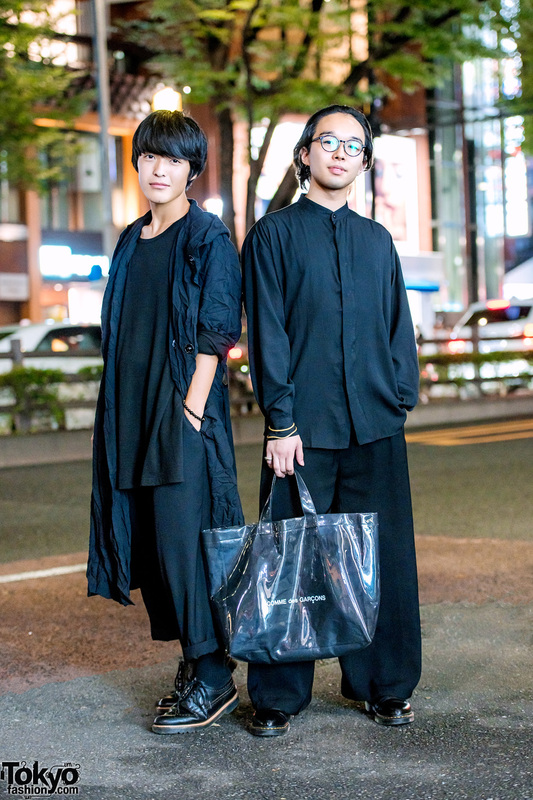 Harajuku duo dressed in monochrome and all black streetwear styles while out and about on the street. 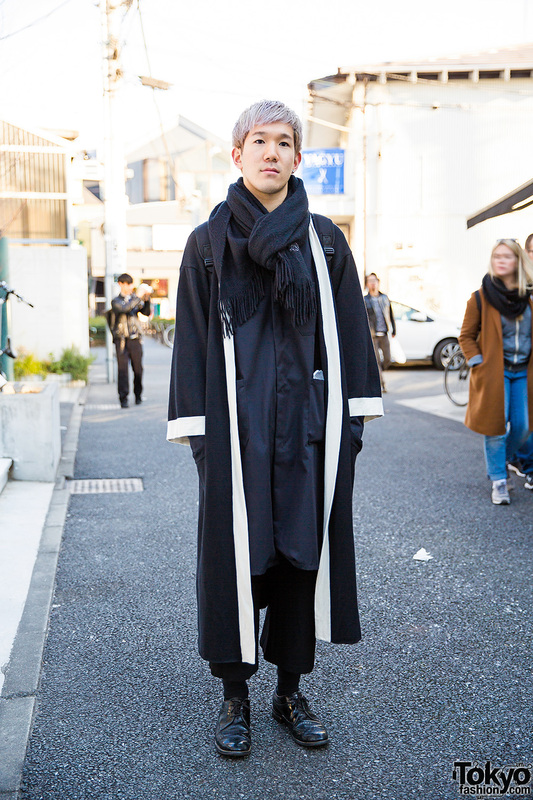 Harajuku guy wearing stripes, sequins, and crosses on the street in Tokyo. Japanese teens wearing all-black outfits in Harajuku. Harajuku trio sporting striking streetwear styles while out and about on the street. 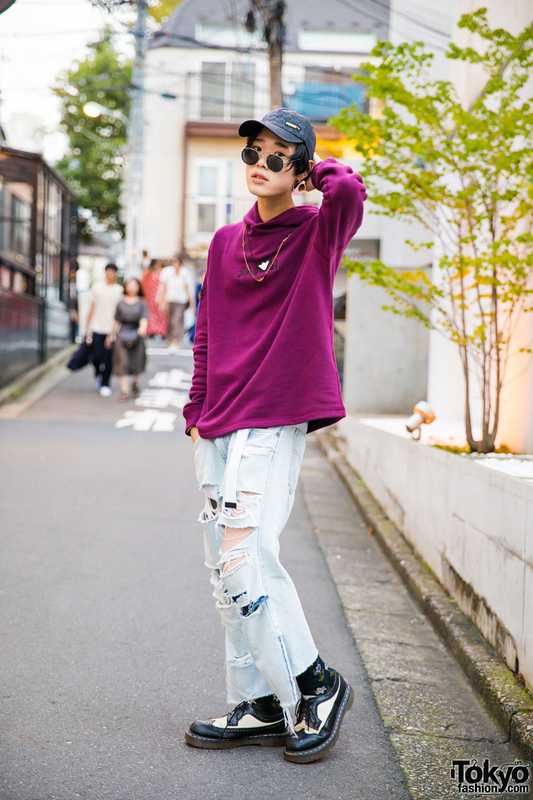 Harajuku salon model in resale fashion with purple hoodie, ripped jeans and brogues. 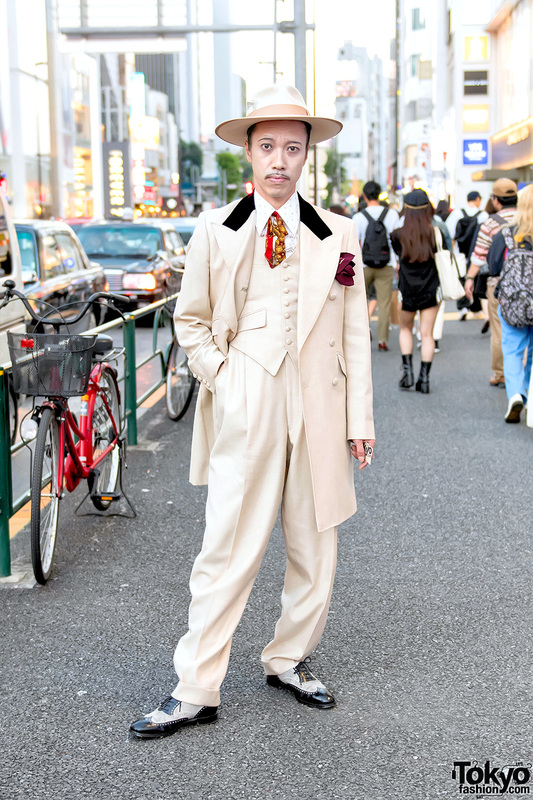 Stylish guy on the street in Harajuku wearing a retro zoot suit with a hat and Lloyd brogues. 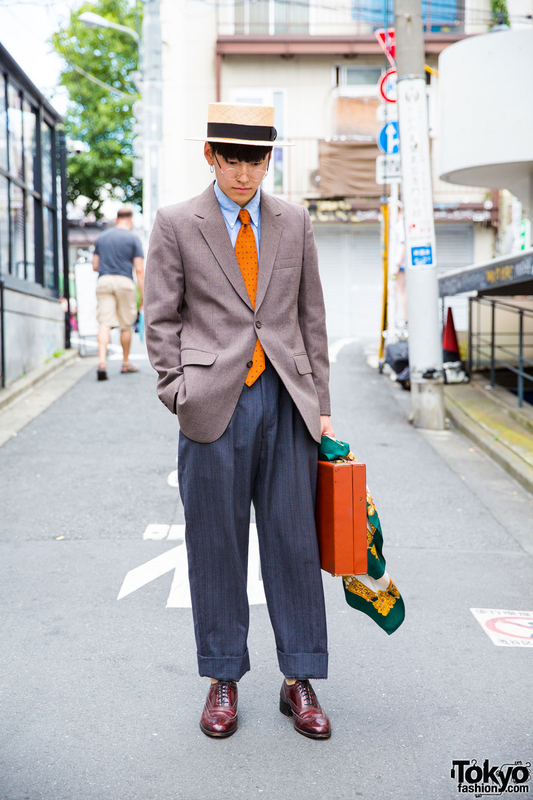 Harajuku guy in vintage street style with hat and brogues. Harajuku guy in designer fashion wearing a fluffy cardigan over a black top and skinny jeans, with a faux fur bag and brogues. Harajuku beautician in maxi coat, scarf, cropped pants, black leather backpack and brogues.